The Aviva Sparkling range consists of Gold, Pink Gold, Platinum and Rose labels. All have fascinating visual affects when shaken or twirled, but each is distinctly a different colour. Once you land your hands on some Aviva, you will see how disturbing the sediment at the base of the bottle creates a sensation similar to that of a living flame, which grows and moves inside. Once pouring, a swirl in your glass will continue to reveal the same 'magical dust'. 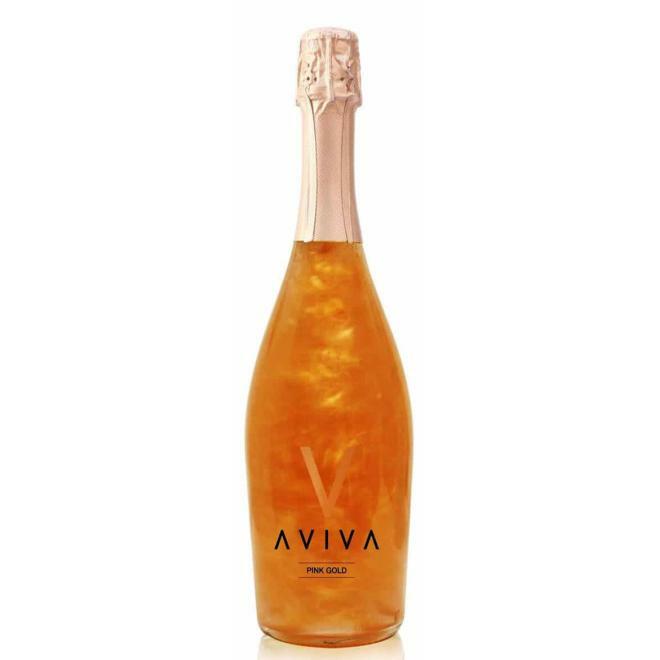 Try all three colours of Aviva Sparkling wine to experience the reaction of your palate to colour. See what different flavours you can pick out of the three labels. Lemon? Strawberry? Honey? All three wines have different iron oxide colourings in them, which is why they are uniquely coloured. But quite remarkably, they are all made with the same grape, in the same style, and should all actually taste the same.